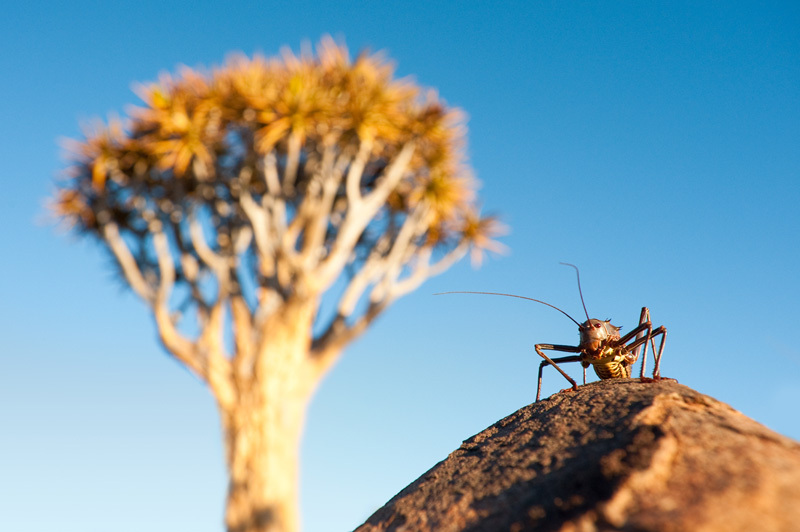 The armored ground cricket (Acanthoplus discoidal) is native to Namibia. They are wide-bodied, flightless and can grow to around 5 cm. Their thorax is covered in sharp spines and they have a pair of strong biting jaws. They are able to defend themselves against predators in an unusual manner by squirting haemolymph (insect blood) out of their bodies. I took this shot from a low angle with a quiver tree in the background to add context.